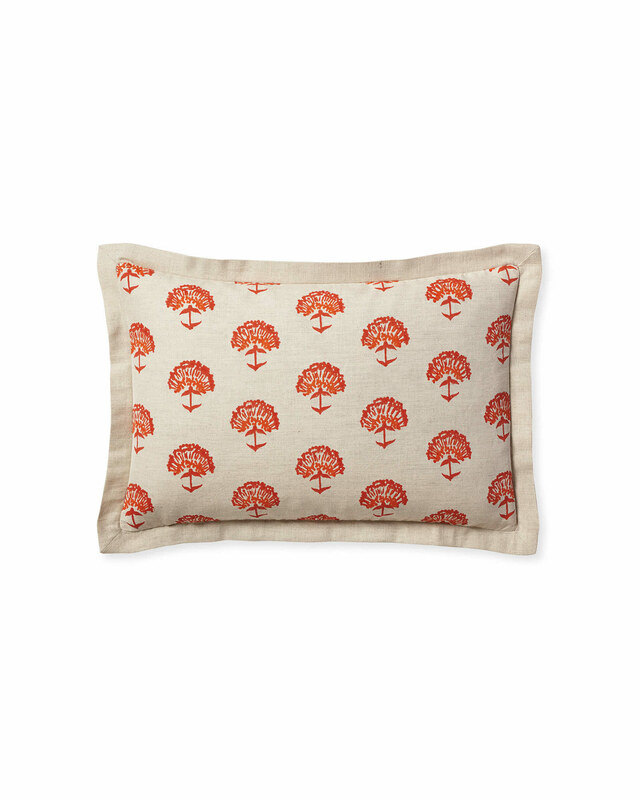 Astoria Pillow CoverAstoria Pillow Cover, Papaya alt="Astoria Pillow Cover, Papaya"
Print Cheerful blooms, beautifully block printed onto a cotton-linen ground. The pattern has a certain energy but the color mix is minimalistic enough to avoid over-exuberance. Woven of 55% cotton, 45% linen. Pattern is block printed, making each pillow unique. 20” SQ. and 12” x 21”.